State of New Mexico This is the main web site for the State of New Mexico. From here, you can reach most divisions and agencies, find directories of state employees, check out what is going on in the legislature, and even find links to cities and counties in the state. NM Energy, Minerals, and Natural Resources Department EMNRD consists of five program agencies, the Energy Conservation and Management Division (ECMD), the Forestry Division (FD), the Mining and Minerals Division (MMD), the Oil Conservation Division (OCD) and the State Parks Division (SPD). NM Environment Department (NMED) State of New Mexico environment department. Contacts, regulations, permits, reports, event announcements, etc. NM Oil Conservation Division (OCD) The New Mexico OCD regulates oil and gas and geothermal activity in New Mexico. A more complete listing of what's available on the OCD website, plus some direct links to regulations or district office pages is available. NM Pipeline Safety Bureau The New Mexico Public Regulation Commission's PIPELINE SAFETY BUREAU is charged with the task of enforcing Federal and State Pipeline Safety Regulations in order to provide for the safety of the citizens of New Mexico. NM State Land Office (SLO) Site of NM SLO. Download the Oil and Gas Manual, various O&G forms, find out about the other affairs of the office. NM State Engineers Office (OSE) The Office of the State Engineer (OSE) and the Interstate Stream Commission (ISC) are separate but companion agencies charged with administering the state's water resources. The agencies have power over the supervision, measurement, appropriation and distribution of almost all surface and ground water in New Mexico, including streams and rivers that cross state boundaries. NM Taxation and Revenue ONGARD Home The ONGARD Service Center is a group assembled to provide for the implementation and ongoing support of the ONGARD system. By using the Industry Access option, users can run several queries on the ONGARD database. NM ONGARD Service Center Industry Procedures Getting access to ONGARD. NM Industry ONGARD Users Guide The Oil and Natural Gas Administration and Revenue Database (ONGARD)serves as repository of data relating to the life cycle of those minerals, from lease of the land to the extraction and distribution of the products. 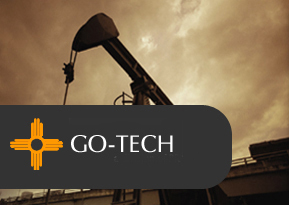 NM Taxation & Revenue, Oil and Gas Bureau This Bureau is responsible for overseeing all tax returns management, compliance enforcement and audit initiatives as it relates to the NM Oil and Gas Production and Natural Gas Processor Tax Acts. DoI-BLM-New Mexico Oil and Gas Oil and Gas information for BLM land in New Mexico. Includes lease sale notices, results, leasing FAQs, and forms.